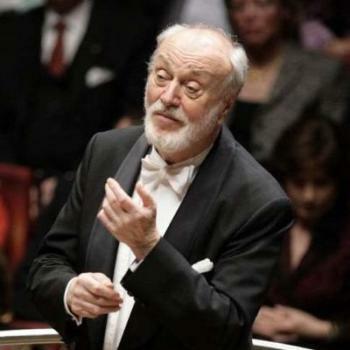 German conductor Kurt Masur, who led the New York Philharmonic orchestra, has died at the age of 88. New York Philharmonic President Matthew VanBesien said Masur had “left a legacy that lives on today”. Kurt Masur was music director of the philharmonic from 1991-2002 and is credited with reinvigorating it. Prior to that, Kurt Masur led the Leipzig Gewandhaus Orchestra in eastern Germany for 26 years. In the celebrations marking the reunification of Germany on October 3, 1990, Kurt Masur directed Beethoven’s Ninth Symphony. As the East German regime collapsed in the 1980s, Kurt Masur was credited with using his influence to help prevent a bloody crackdown on pro-democracy protesters. Many thought he should become East Germany’s first post-Communist leader but instead he moved to the US. Kurt Masur’s death on December 19 was announced by the New York Philharmonic. “It is with the deepest sadness that I write on behalf of the Masur family and the New York Philharmonic that Kurt Masur – our inspiring music director, 1991-2002, and music director emeritus – passed away,” Matthew VanBesien said.